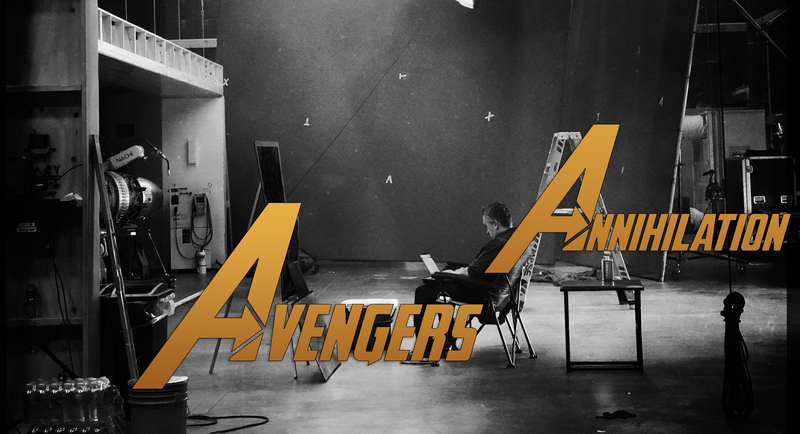 Aside from the plot itself, the thing about Avengers 4 that people have been talking about most is what its actual title will be. Right now, all we can do is place a number next to it, though we all know that Marvel Studios give their films subtitles to distinguish them. So rest assured, there’ll be one in place for the Infinity War sequel, too. Originally, True Believers thought they’d go with “Infinity Gauntlet,” but it’s probably for the best that that’s been ruled out, as if we’re being honest, it’s a bit too straightforward and mundane. Plus, Thanos has already acquired every Infinity Stone, so you have to admit that it’d seem redundant at this point. And though we’re still waiting on an official announcement from Marvel, the folks over at MCU Cosmic claim to have it on very good authority that next May’s blockbuster will be called…wait for it…Avengers: Annihilation. If you’ll recall, the Russo brothers posted a photo a while back telling fans to “look harder” and they might just discover the title. And as it turns out, it was right there all along, as you can see below. Again, the studio hasn’t confirmed this just yet, but it would make sense given the devastating events of Infinity War. Not to mention that as MCU Cosmic points out, it continues the Avengers tradition of “using titles of big events in the comics, although the comic Annihilation wasn’t an Avengers book rather a huge (and awesome) cosmic Marvel event.” Oh, and there’s also the fact that it’s long been rumored that the subtitle will be one word only, and this certainly fits that description. At this stage, we imagine Marvel will either come out and announce something officially pretty soon given that the title has leaked, or switch it up and go with another title (assuming Annihilation is even what it’s currently called). MCU Cosmic has a pretty solid track record though so we’re inclined to believe that as of now, at least, this is indeed what the studio’s settled on. Whether it’ll remain as Annihilation, we can’t say for sure, but with the first Avengers 4 trailer expected to drop in November, we should know soon enough.